Who’s ready for some more Company of Heroes 2? If you answered “me!” then you should be happy as there’s a new content update rolling out for the fine RTS today. The content update is entitled the “Case Blue mini-pack” and will be free to the folks who pre-ordered CoH before its release. For the rest of us normal folk, it will be available on Steam for the price $9.99. As well as the Case Blue Theater of War mini-pack Relic will be releasing two new multiplayer maps as part of the same patch. 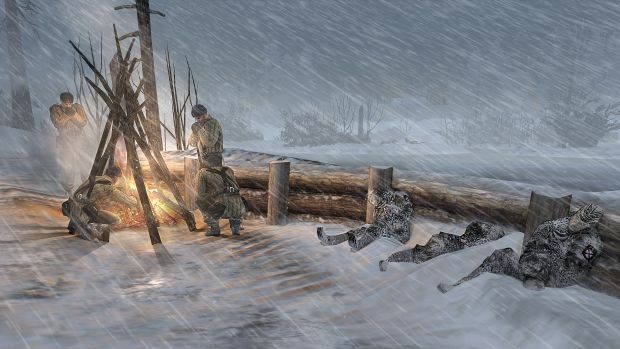 The first of these maps, Rostov, is a large scale six player map based around a frozen river. The second, Kharkov is an industrial city scape which will encourage close-quarters fighting and strategic control of key choke points. Both of these multiplayer maps will be added to the roster and available for all players to download for free. Below are some screenshots and a new trailer for the Case Blue mini-pack which, as previously mentioned, can be purchased right now on Steam for $9.99.